With the 2017 Minor League Baseball season beginning on Thursday, April 6, Atlanta's full-season minor league affiliates have released their Opening Day rosters. 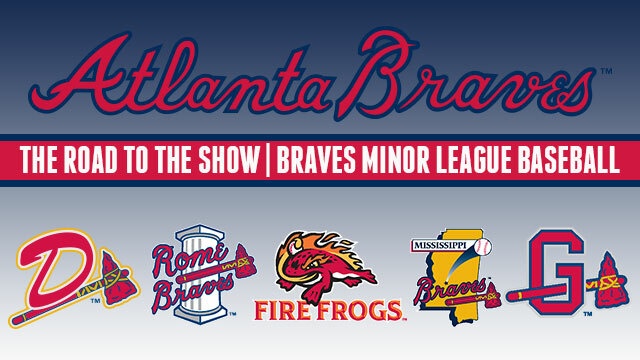 53 former Danville Braves have moved up in the Braves system, with 18 starting the season at Single A Rome, 16 at Single A Advanced Florida, 14 at Double A Mississippi, and 5 at Triple A Gwinnett. Atlanta's new No. 1 prospect, 2B/SS Ozzie Albies, who advanced to the organization's top prospect slot after Dansby Swanson recorded two at-bats for the big league club on Opening Day, highlights the list of former D-Braves in Atlanta's minor league system. Albies, the No. 9 prospect in baseball according to MLB Pipeline, will begin the year with Gwinnett, but many expect he could make the jump to Atlanta before 2017 is over. See below for the full list of where former D-Braves will begin the 2017 season.